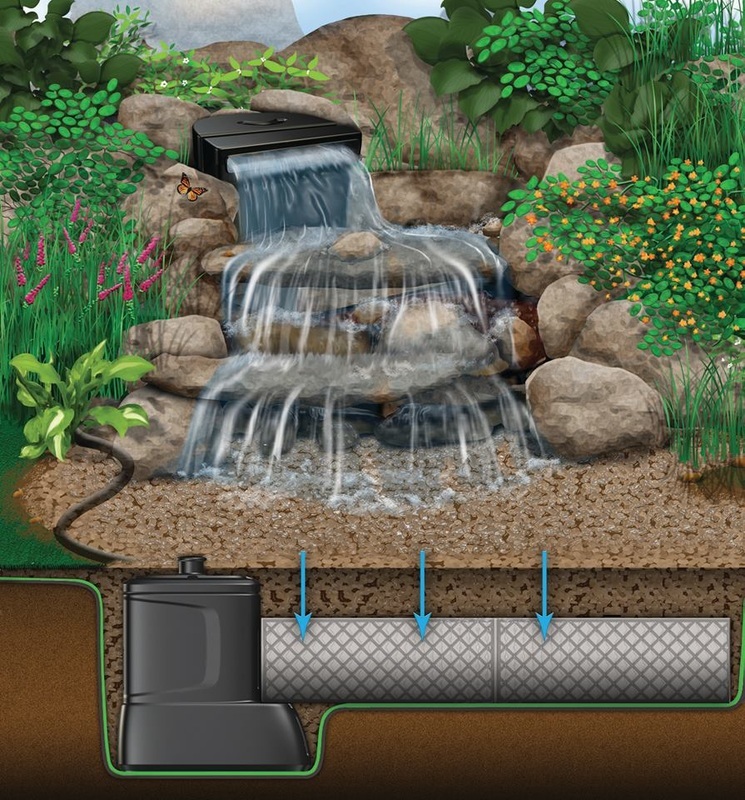 A disappearing pondless waterfall system consists of a waterfall cascade box, an underground cistern, a serviceable pump vault, and a pump. Simple, right? Well, except for the rock stacking artistry. That's a learned skill that can take years and dozens upon dozens of builds to perfect. Doing this since 2000, we've pretty much got a handle on this, though. And what a beautiful way to recycle water!